"There's a vast but little known overlap between fans of fantasy and fans of musical theater, and Barbara Ashford hits the sweet spot on both with Spellcast. It's warm, humorous, emotional, heartfelt, and full of magic. Curse you, Barbara, for making me cry! And for getting 'Some Enchanted Evening' stuck in my head all week." "One of those rare gems...something completely unique in the pantheon of novels I have read over a lifetime. It is a love story, a fantasy, a mystery, and a theatre book all rolled up into one." 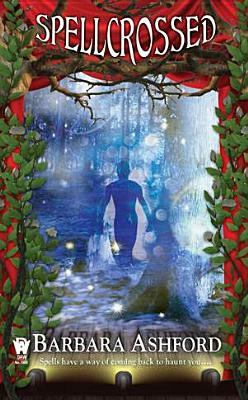 "A charming fantasy novel [that] left me wanting more, in fine theatrical tradition." "Barbara Ashford draws upon her own theater experience, pouring a bit of herself into Maggie Graham, and the resulting mix of musical theater and fantasy is nothing short of fantastic."